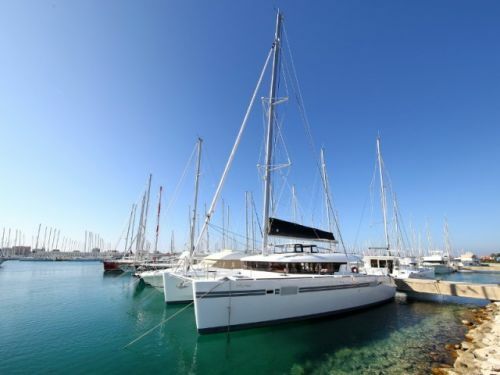 Looking to sail from Zadar? Search to find and book your ideal boat, or read everything you need to know: prevailing winds, where to sail, how to get there and more! Zadar is a great place to set sail from. 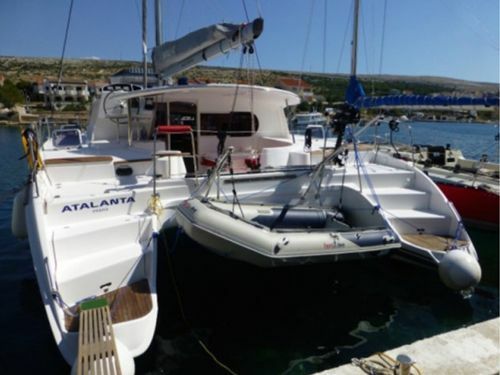 - it has terrific weather and sailing conditions, and it's the perfect starting point for exploring the Kornati islands - 89 completely unspoilt islands out in the Adriatic sea which are home to a vast range of stunning beaches, cute villages, delightful bays and teeming with wildlife. You can also head up the coastline to get way, way off the beaten track and find secluded beaches just for you, or south to find the most heart-shaped island in the world! Zadar itself is a city which has gained in international prominence in recent years and is fast developing into a major tourist destination in its own right - people flock here to see its Roman history and architecture, and a fun-loving atmosphere - and it's even better to see it all from the sea. With so much to see and do, you're guaranteed an outstanding sailing holiday. 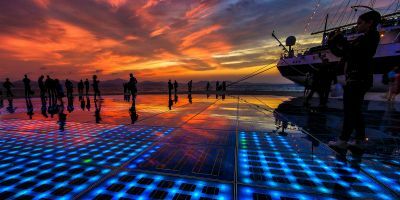 Zadar is located just 27 Nm from the delightful Kornati islands – a national park of 89 islands offering beaches, bays, bars, unspoilt islands, picturesque vistas, and dependable wind and sunshine for most of the year. Outside of the national park you’ll find so many beautiful and relaxing places to stay – from remote marinas to idyllic villages with outrageously fresh seafood or local olives and wine. The world’s most heart-shaped island was only discovered as part of a Google competition in 2009, but is now one of the most romantic places on the planet. Sail round it and throw a euro in the waters to get luck in love. An idyllic fishing village which has its’ own Roman fort and 14th century church. A beautiful and tranquil place to spend a night, and some of the freshest and tastiest seafood in Croatia. A national park comprising 89 unspoilt islands to dodge around, with bays, beaches, bars and thousands of species of wildlife to spot – including dolphins, turtles and coral reefs. 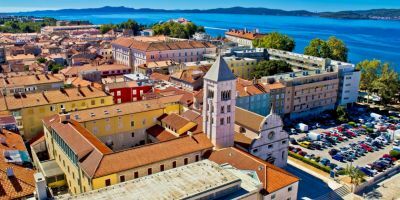 There’s so much to see and so many places to visit from Zadar, that one week just isn’t long enough to see and visit them all. Most places you go, you’ll find unspoilt beaches, bays, cliffs and islands, along with idyllic little fishing and farming villages, so you can’t go too far wrong, even if you just follow your nose and decide spontaneously where to go. This itinerary is 6 days long - since checking-in and shopping take up most of your time on the first Saturday, so you likely won’t be able to do any meaningful sailing then, and likewise, you’ll be checking-out early the second Saturday (after arriving back at the marina on the Friday night) so won’t be able to sail at all that day. This route takes in a lot of the nearby islands and clocks in at 116 nautical miles – which works out at just under 20 nM a day. 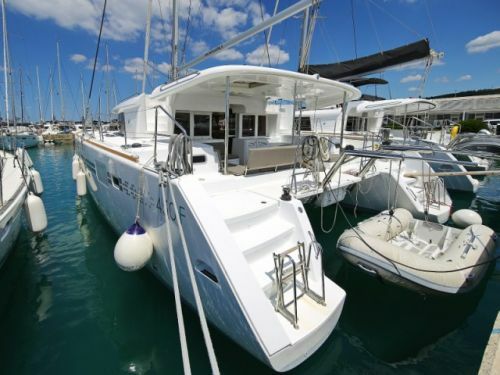 As you’ll likely be going at a pace of 5 knots or above, that means the sailing should only take 4-5 hours a day, which leaves plenty of time to go at a leisurely pace, to explore your start or end destinations in depth, or to take your time and bob into bays, swim on some beaches, practice man-overboard drills, or just relax. As we’ll be spending a night in the Kornati marine national park, it’s worth buying an entry pass in advance (since the ticket inspectors will sting you for an extra 50%, and they patrol the islands every night). The unwritten rule is that you need a pass for every day that you’re in the national park after 4pm, so if you’re following our itinerary, a one day pass should suffice. Get the shopping back and stow it, check that everyone is on board, then pull the drawbridge on, and let’s go! Fire up the motor, and gently bob out to sea. If you’re starting in Zadar Marina, you’ll get a great view of Zadar old town rightaway, or, if you’re travelling from Sukosan, you’ll have to travel a few miles before you get to see the splendid view. From Zadar, we’re heading in a north-westerly direction. You’ll pass lots of other charter yachts heading other directions, but we’re heading off the beaten track to a small farming village on the island of Ist. The prevailing wind is landward from the sea, so it should be a simple reach or broad reach to sail there. Ist is an island of vines and olive groves, as well as sandy beaches, and it’s a quiet and tranquil place to spend the night, even though there are ferry connections to other islands. There’s a couple of bars and a church, but essentially this is a place to get away from it all and to enjoy life on the ocean waves. After a relaxing night at Ist, we’re heading onwards and downwards to Veli Iz, on the island of Iz. From Ist, head south to follow the west coast of the island of Molat, from where you should be able to see the lighthouse at the end of Veli Rat on Dugi Otok (which is notable for being the tallest lighthouse in the Adriatic, no less!). This area was also the scene of a great naval battle in the second world war (google the ‘Battle of Ist’ if you’re interested). There are beaches on the south side of Molat, or you could pop into the town itself – which, oddly enough, was visited by King Edward VIII and Wallis Simpson in 1939. But then we’re heading in a south-westerly direction, reaching against the prevailing wind as we follow the channels between the islands and to the east side of Iz. Veli Iz is a small fishing village which also happens to have its own Roman fort and 14th century church. Founded by fishermen way back when, the village also has a number of decent seafood restaurants, and is famous for its decorative pottery (for which there is even a museum). Sadly, though there were 70 pottery companies on the island in bygone years, there is now only one left. If you didn’t spot it, Veli Iz has a supermarket where you can go and stock up your provisions. If you’d prefer a bigger supermarket, there is an option to make a short detour to the town of Sali (on Dugi Otok) on your way down to Zut. Today is the smallest sailing day by distance, and Sali also has a gelateria, so if it’s hot, it’s almost certainly worth the stop. You certainly need to stock up because Zut is out in the wilderness. Situated in a sheltered bay which has been used by sailors for centuries, the tourist board built a pontoon and walkway in the bay in recent years to make it easier for sailors to get to shore, and to increase the number of jobs on the island by 1200% - from 1 to 12 people. When you moor up you’ll find a couple of small shops and bars or eateries (don’t rely on them to be open, just in case, but they’re good if they are), and not much else. It’s a very peaceful bay to spend the night in, and a very unspoilt island to explore. From Zut, we’re going into the Kornati marine national park and exploring the Kornati islands. This is a group of 89 islands with 537 species of plant, 750+ species of wildlife, and coral reefs, fish, dolphins and turtles below the water line. It was named a national park in 1980, and has been a haven for plants and wildlife ever since. As a result, a lot of it’s natural beauty is still unspoilt, and sailing can be a pleasure around here. There are beaches and bays to explore, and you’re allowed to walk on the islands if you dare to brave the heat. The view from the top of the hills is certainly quite special, but it can take a bit of effort to get there. From Zut, we’re heading west (likely beating or close-hauled) to pass over the top of Kornati island - the biggest island in the national park – and following down it’s western coast in a south-easterly direction, probably in a broad reach against the prevailing summer wind. Enjoy weaving your way around the islands, finding beaches, bays and even bars on the largely unspoilt islands. You need to head slightly west to ensure that you hit the west coast of Piskera, but it is fairly straight-forward to find the well-sheltered marina and to moor up for the night. Piskera is similar to Zut in that it is a marina which was built primarily to make the Kornati islands easier for sailors to explore, so you won’t find a town here – though you will find a restaurant, an over-priced shop (but heck, it’s in the middle of nowhere, so it can’t be easy to stock it up!) and modern toilet facilities. It should be another tranquil night, although the bar here can get quite lively if there are enough sailors in the marina. If you enjoyed dodging between the islands yesterday, then you’re in luck, as there’s more to be done today (or you can give them all a wide berth and just head outside them all). As well as looking out for dry land and interesting places, you should keep an eye out for dolphins and sea-turtles, as you’ll be going through an area they regularly frequent. Starting in a south-easterly direction until we reach the southern tip of Kornati island, we then need to bear north-easterly to traverse across the channel to Murter. 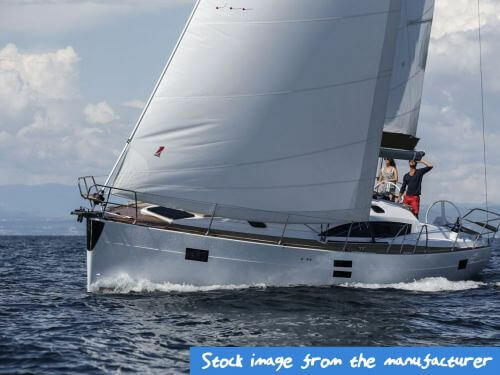 This should be a simple run with the prevailing wind, and you might be able to get away with a broad reach, but bonus marks are available if you manage to goose-wing your way back towards the mainland. Murter is the largest town on the island of Murter (which isn’t really an island any more, since the arrival of a road connection to the mainland). Surrounded by brilliant beaches, it’s also popular with land-lubbing tourists, and there’s plenty of lively bars and restaurants along the waterfront, which will make a change of atmosphere from Piskera and Zut. The best beaches are on the west coast, and you could anchor up here if you had time, or, if you fancy some exercise, you could walk to the top of the hill (where there is world war two military base) and enjoy watching the sun set over the Kornati islands. Sorry to be the bearer of bad news, but today is our last day of sailing, and the final leg of our epic voyage. Zadar is north-west of Murter, so we’ll be reaching our way up the coastline. We’re 25 nautical miles from Zadar town, or 20 nautical miles if you’re heading back to marina Dalmacija in Sukosan, but there’s plenty of sailing to enjoy before then. Working our way up the coast, we’ll sail past Biograd, which is one of the most popular charter bases in Europe, and the home to the biggest boat show in Croatia (check out our destination guide for Biograd if you want to find out more about it, but it’s not worth stopping there today as it will be busy with people returning their charter yachts). Further up the channel is lovers island. This is the most perfect heart-shaped island in the world. It was only really ‘discovered’ after the invention of Google Earth, but it’s now a romantic destination in it’s own right, and hundreds of people come and propose here each year. It’s a romantic place to go, and it’s traditional to loop around the island (or make a heart shape on your plotter if you’re skilled enough) if you’re going past it, and throwing a euro into the waters around here is supposed to sort out your love life. Follow the coast further north and you’ll arrive back at Sukosan (the biggest marina in Croatia) or Zadar marina. You should refuel your yacht or catamaran before returning the boat to roughly the same space you took her from on day one. Someone will come and inspect the boat, but you’ll still be sleeping on her tonight. If you’ve not had chance to visit the old town of Zadar, then now is a good time to go and see the 3,000 year old UNESCO world heritage site. Most bars near both marina’s will be lively with happy sailors recounting their adventures to anyone who will listen tonight, and it’s the last night of the holiday for so many people that it shouldn’t be difficult to find a lively atmosphere. Hopefully you’ve been impressed by the sun, sea, sailing and general tranquillity of the Croatian islands, hopefully your crew all got on well together (and maybe there was a holiday romance? ), and hopefully you’ve had a brilliant, enjoyable and relaxing holiday. Have a safe trip home, and, when you start to miss the sea and the sunshine, remember to visit PlainSailing.com to start planning your next epic adventure! Zadar has reasonably cold winters, and reasonably warm summers, but temperatures are never too extreme – in winter, it’s unusual to be an icy and snowy place (despite not being so far from snow covered mountains), and in summer, it’s equally unusual to hit temperatures beyond thirty degrees – though both snow and searing temperatures do occur from time to time. For the sailing season, from May to September each year, conditions are practically perfect – the temperature is somewhere in the region of 20 to 25 degrees (which means shorts, t-shirts and bare feet are the order of the day, and that you have every excuse required for grabbing an ice cream or a cool drink). 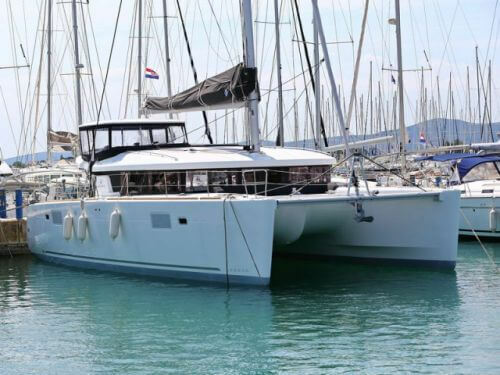 The beauty of sailing in Croatia over Greece is that Greece can get swelteringly hot (over 35 degrees) at the peak of summer, whereas Zadar will get hot, but not too hot, and you should be able to get away with chartering a yacht or catamaran that doesn’t have air conditioning. The Adriatic is very well sheltered and enclosed, so temperatures never fall much below 15 degrees and the sea is swimmable all year round. Swimming in the sea gets pleasant, yet refreshing at about 20 degrees in late May, and at 25 degrees in late August, it will feel like you’re swimming in a swimming pool. Croatia is one of the top sail-tourism destinations in Europe because it has both plenty to explore (with 1,700 islands!) and great weather (predominantly sunshine, with a decent amount of wind). The winds are particularly reliable throughout the sailing season, when local sailors claim that they can set their watch by them: there are Mistral winds during the day which peak between 9am and mid-day, then take a break for a couple of hours, before returning (“after lunch”) for another few hours at 3pm until dusk, when the winds die down to a light breeze, if anything at all. The daytime winds are usually Force 4 or Force 5, and their prevailing direction is landward, which is driven by the sun – as the land warms up and the air above it rises during the day, air is sucked from the sea. A little further out from the coast, and away from the Mistral winds, then the winds shoots down the Adriatic channel into the heart of the Mediterranean. Outside the sailing season, the weather can be a lot less predictable, with weather systems as likely to arrive from the cold mountains to the North as they are to arrive from the tropical equator region to the South of the Mediterranean. Most systems pass within a couple of days, but the strength and unpredictability can make for some challenging sailing. What is the Current Weather in Zadar? Zadar is a city which is over 3,000 years old. Founded by the Romans, the city is still based loosely on the old Roman town – everything is centred around the ancient Roman forum – and the city is still very proud of its Roman heritage. As well as ancient churches, squares and monuments, the town has a number of excellent beaches (something which you will find right along the Dalmatian coast). In more recent years the tourist board have been going into overdrive to turn the place into a thriving international centre – with international art exhibits, competitions and events taking place on a seemingly weekly basis, and they won international awards for their ‘sea organ’ concept and use of public space. 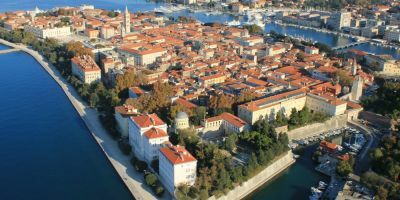 They were also recently successful in registering the whole of Zadar old town as a UNESCO world heritage site. 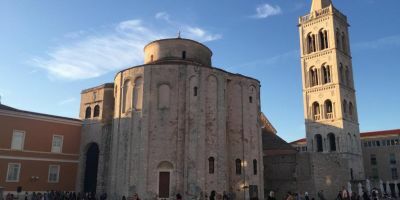 The Roman forums are a must see for every visitor to Zadar, and it is still incredible how these 3,000-year-old monuments have preserved so well. Just next to that is a tower of shame, to which people used to be tied and then left for days, or worse, stoned. The whole of the old town is a beautiful place, which you can best enjoy by meandering around the old town in the sunshine – preferably with an ice-cream. There are also churches and such from the 9th century, but that is positively modern by comparison. Much more contemporary still is the ‘Sea organ’ – a collection of man-made pipes which are played by waves, and has won international awards for use of public spaces. Alfred Hitchcock notably remarked that the sunset in Zadar is the finest in the world, so make sure you don’t miss it! There’s lots going on in Zadar, so it’s worth googling the local events nearer the time or visiting the local tourist board. Of note, there’s a host of Zadar summer festivals which entertain the tourists from June to September, and encompass all sorts of performing arts – including, a Jazz and Blues festival, contemporary theatre, Avventura Film Festival , musical evenings in St Donat, Zadar classic open air festival, KalelargArt street artist festival, and an International choir competition. The summer festival also takes in the ‘Night of the full moon’ celebrations in August and the Millennium Jump. Sports-wise, there’s also a lot happening, with a Zadar outdoor festival (which incorporates a 5km and 10km run, a cycle race, a sailing regatta, a kayak race, and an open water marathon swim), a world run, and a night run, plus the Tour of Croatia cycle race, amongst many other events. And as for local produce, there’s a Flower Fair, a wine festival, and a fig festival. There’s also things happening near Sukosan if you’re staying in Marina Dalmacija. There’s a fish festival every Thursday evening from June to September, when local fishermen create a buzz by cooking up some delicious fish stew. There’s also chamber music and a cappella singing to celebrate the nearest weekend to Saint Cassian day (the patron saint of Sukosan), and you’ll spot the locals in traditional dress parading through the streets as part of the summer carnival. Outside of the sailing season, there is a festival involving donkeys which takes place on shrove Tuesday (as part of their annual carnival festivities). Restaurant Kastel – the best food in old town Zadar if you’re after a fine-dining taste sensation (and not just something hearty to fill you up). The chefs at the Hotel Bastion are precise, the service is impeccable, and the food is delicious. Prices are expensive, but reasonable for what you get (Bedemi Zadarskih Pobuna 13 (Hotel Bastion) Zadar). Gricko Grill – A charming Croatia restaurant a few hundred metres from the marina, and not in the old town. This place will sort you out with the best grilled fish in the city, as well as decent local sausages and Cevapi. Recommended (Ulica Dr. Franje Tudjmana 54, Zadar). Restoran Matanovi dvori – our preferred restaurant in Sukosan, which specialises in Croatian cuisine and seafood, and which does the best grilled fish and pasta in the area. There’s a pleasant atmosphere, a decent selection of local wines, and they even make their own home-made pasta and gnocchi (Dr. Franje Tudjmana 135, Sukosan, Zadar). The Garden Lounge – Located in the old town, practically opposite the marina, with panoramic views across the sea. This is a locally famous venue, which is a super and elegant place to chill out during the day or the night, often with live music (Bedemi zadarskih pobuna bb, Zadar). Arsenal – Set in an 18th century stone building, this is partly a pumping nightclub and concert venue (hosting some of the biggest names in Croatia and from further afield), but also part exhibition space, part wedding venue, part restaurant, part café, and part lounge bar (Trg Tri Bunara, Zadar). Prestige design rooms *** – c. £65 for a double room – a hotel located right in the centre of the old town. Comfortable, clean and stylish rooms, friendly staff, optimally located, and great value for money. El mirador rooms *** - c. £45 for a double room – cheap but very cheerful, and well located and but does the trick. Located just the other side of the channel from the old town, and 100m from Zadar marina, Rooms have balconies (some with sea views) and free wifi, and guests can use the shared kitchen here. Palazzo Venezia **** - c. £120 for a double room – A luxury boutique hotel right in the centre of the old town, with exceptional views, superb breakfasts, refined rooms, and a very attentive service staff. If you can afford it, it’s worth it, and it would make for a special start or end to the holiday. Hotel Joso *** – c. £60 for a double room – excellent rooms as close to the marina as you can get (you can probably spot your boat from here! ), each with their own private balcony, and just over the road from the beach (for if you spot your boat isn’t ready yet). White Residence **** - c. £120 for a 2-room apartment (sleeps 4) – amazing luxury apartments with a balcony (or a sunbathing terrace) and superb views over the sea, and within 900m of the marina. Apartments have their own dining areas and kitchen, and some apartments can house up to six people. 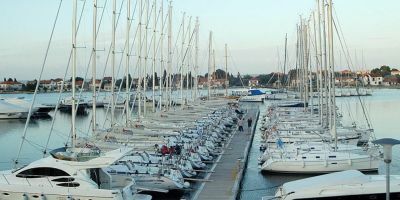 We use two marinas in Zadar, each offering excellent and modern facilities, and great levels of care for our guests. Marina Zadar is based right in the centre of town, which means it’s quite an atmospheric place to spend the night, and there’s plenty of bars and restaurants. The marina also boasts its own casino! The nearest decent-sized supermarket is the Konzum which is just across the bridge and in the old town, which should stock everything you’ll need. The address is Ul. Dalmatinskog Sabora 8, Zadar. 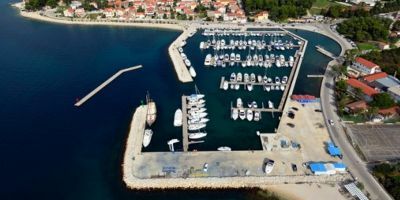 The recently built Marina Dalmacija is just 7km to the south of the historic old town (in the suburb of Sukosan), and, with space for 1,200 boats, is the biggest marina in Croatia. It has all the latest mod cons, including a swish beach bar and a waterfront restaurant with stunning decking over the sea. There is a small supermarket in the marina, but the nearest decent-sized supermarket is the Spar which is 400m away on the main road from the marina and which should stock everything you need before you set sail. The address is Jadranska Magistrala 160, Bibinje. 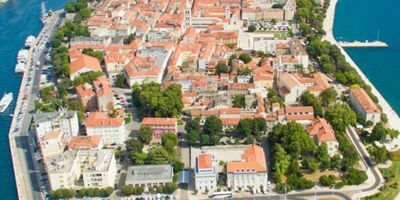 Zadar is very easily accessible by air - with Ryanair operating to many airports across Europe from the local Zadar airport, which is 12km from Zadar town. By far the easiest and quickest way to arrive at either marina is by taxi (or we can help arrange you a private transfer - check out our blog on Transfer Fees for the likely cost) – the journey is under 15 minutes, and there’s no real effort involved. Public transport options are available, however, if you have the time, and depending upon how heavy your bags are. Whether you’re travelling to Marina Zadar or Marina Dalmacija, you’ll need to get the bus from the airport to Zadar bus station. 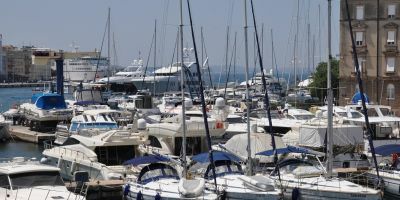 For Marina Zadar, it’s then about a 15 minute walk to the marina from the bus station. For Marina Dalmacija, you’ll need to take another bus (number 928) down the coast (ask the bus driver to tell you when you arrive at Sukosan).